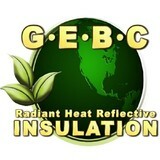 GEBC LLC. has an A+ rating with the BBB. We are going to perform a Full Energy Evaluation, that includes checking doors, windows, HVAC, hot water heater, insulation & Ventilation. What we look for is waste. If we see any issues that we can provide a do-it-yourself solution for such as caulking or weather stripping we will do so. If your home qualifies, we will show how we GUARANTEE in writing to save you a minimum 25% off your energy cost. 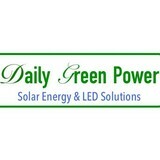 Let’s say you want a solar electric system for your home. An off-grid system basically consists of solar panels and battery banks. These battery banks store the sun’s energy so you can use electricity at night or on a cloudy day. This system is designed to keep household electricity running for about two or three cloudy days; longer cloudy periods require a backup generator. 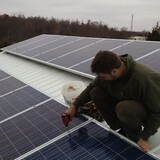 To install an off-grid system, you’ll want to hire a certified Kentucky solar energy contractor. Along with off-grid solar, wind and hybrid energy systems that include batteries and backup generators, there are also grid-tied solar and wind operations. Grid-tied systems are attached to your Meadowview Estates, KY utility company so if you produce more energy than you use, your meter goes down and you build up energy credits. Can you give me any information on Kentucky solar rebate programs? 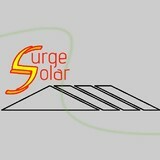 Find solar energy contractors in Meadowview Estates, KY on Houzz. Search the Professionals section for Meadowview Estates, KY solar energy contractors or browse Meadowview Estates, KY photos of completed installations and look for the solar energy contractor’s contact information.